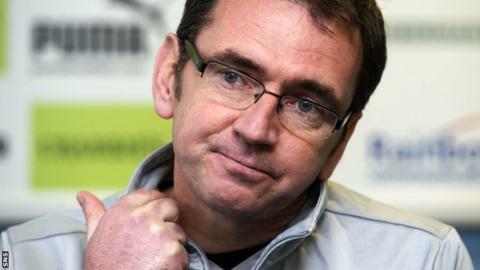 Boss Pat Fenlon wants at least two new faces added to his Hibernian before the end of the January transfer window. and midfielder Jorge Claros may be recalled by parent club Motagua. "We have lost Ivan Sproule and would like to strengthen that area," said Fenlon. "We also have the Jorge situation, which has yet to be resolved, and would like to bring some cover." Fenlon, who would not confirm his reported interest in Bolton and former Rangers winger Gregg Wylde, says he is "fairly comfortable" with the rest of his player pool and expressed surprise at some recent media speculation about potential targets. "I've seen one or two of the stories about people we have been linked with, but I don't know where they have come from," he added. "It amazes me when you get linked with talking to people and offering pre-contracts to people when you haven't even looked at them. "Anything we are trying to do, we will keep it in-house. As soon as there is anything to know, we will let the supporters know."